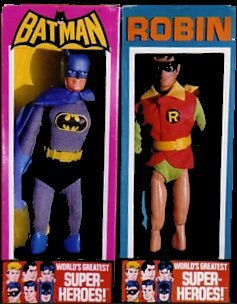 Remember the fun of the 70's with these original Batman and Robin action figures made by MEGO. These were the first real figures of our favorite super hero! Call for availabilty, as they come and go fast.